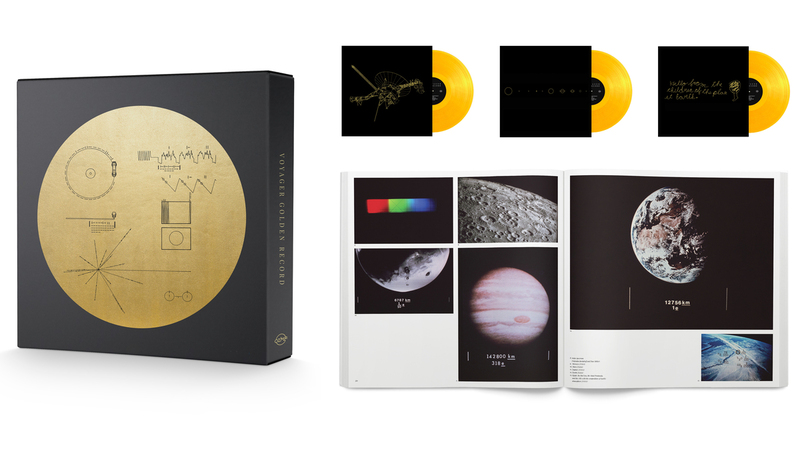 The Voyager Golden Record Finally Finds An Earthly Audience For 40 years, the record's interstellar message to extraterrestrials remained mostly unheard by human audiences — until a Kickstarter campaign brought a new vinyl box set to the public. The Voyager Golden Record remained mostly unavailable and unheard, until a Kickstarter campaign finally brought the sounds to human ears. The Golden Record is basically a 90-minute interstellar mixtape — a message of goodwill from the people of Earth to any extraterrestrial passersby who might stumble upon one of the two Voyager spaceships at some point over the next couple billion years. But since it was made 40 years ago, the sounds etched into those golden grooves have gone mostly unheard, by alien audiences or those closer to home. "The Voyager records are the farthest flung objects that humans have ever created," says Timothy Ferris, a veteran science and music journalist and the producer of the Golden Record. "And they're likely to be the longest lasting, at least in the 20th century." 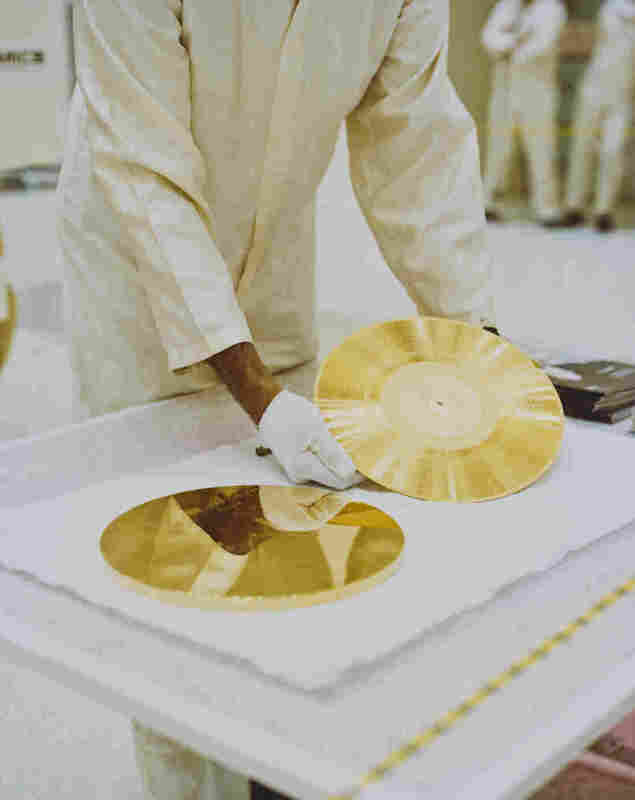 In the late 1970s, Ferris was recruited by his friend, astronomer Carl Sagan, to join a team of scientists, artists and engineers to help create two engraved golden records to accompany NASA's Voyager mission — which would eventually send a pair of human spacecraft beyond the outer rings of the solar system for the first time in history. Ferris was tasked with the technical aspects of getting the various media onto the physical LP, and with helping to select the music. In addition to greetings in dozens of languages and messages from leading statesmen, the records also contained a sonic history of planet Earth and photographs encoded into the record's grooves. But mostly, it was music. "We were gathering a representation of the music of the entire earth," Ferris says. "That's an incredible wealth of great stuff." Ferris and his colleagues worked together to sift through Earth's enormous discography to decide which pieces of sound would best represent our planet. They really only had two criteria: "One was: Let's cast a wide net. Let's try to get music from all over the planet," he says. "And secondly: Let's make a good record." That meant late nights of listening sessions while "almost physically drowning in records," Ferris says. The final selection, which was engraved in copper and plated in gold, included opera, rock 'n' roll, blues, classical music and field recordings selected by ethnomusicologist Alan Lomax. When Voyager 1 and its identical sister craft Voyager 2 launched in 1977, each carried a gold record titled The Sounds Of Earth that contained a selection of recordings of life and culture on Earth. The cover contains instructions for any extraterrestrial being wishing to play the record. Ferris says that from the very start, many people on the production team expected and hoped for the record to be commercially released soon after the launch of Voyager. "Carl Sagan tried to interest labels in releasing Voyager," Ferris says. "It never worked." Ferris says that's likely because the music rights were owned by several different record labels who were hesitant to share the bill. So — except for a limited CD-ROM release in the early 1990s — the record went largely unheard by the wider world. David Pescovitz, an editor at technology news website Boing Boing and a research director at the nonprofit Institute for the Future, was seven years old when the Voyager spacecraft launched. "When you're seven years old and you hear that a group of people created a phonograph record as a message for possible extraterrestrials and launched it on a grand tour of the solar system," says Pescovitz, "it sparks the imagination." A couple years ago, Pescovitz and his friend Tim Daly, a record store manager at Amoeba Music in San Francisco, decided to collaborate on bringing the Golden Record to an earthbound audience. Pescovitz approached his former graduate school professor — none other than Ferris, the Golden Record's original producer — about the project, and Ferris gave his blessing, with one important caveat. "You can't release a record without remastering it," says Ferris. "And you can't remaster without locating the master." That turned out to be a taller order than expected. The original records were mastered in a CBS studio, which was later acquired by Sony — and the master tapes had descended into Sony's vaults. Pescovitz enlisted the company's help in searching for the master tapes; in the meantime, he and Daly got to work acquiring the rights for the music and photographs that comprised the original. They also reached out to surviving musicians whose work had been featured on the record to update incomplete track information. Finally, Pescovitz and Daly got word that one of Sony's archivists had found the master tapes. Pescovitz remembers the moment he, Daly and Ferris traveled to Sony's Battery Studios in New York City to hear the tapes for the first time. "They hit play, and the sounds of the Solomon Islands pan pipes and Bach and Chuck Berry and the blues washed over us," Pescovitz says. "It was a very moving and sublime experience." Daly says that, in remastering the album, the team decided not to clean up the analog artifacts that had made their way onto the original master tapes, in order to preserve the record's authenticity down to its imperfections. "We wanted it to be a true representation of what went up," Daly says. Pescovitz and Daly teamed up with Lawrence Azerrad, a graphic designer who has made record packaging for the likes of Sting and Wilco, to design a luxuriant box set, complete with a coffee table book of photographs and, of course, tinted vinyl. "I mean, if you do a golden record box set, you have to do it on gold vinyl," Daly says. They put the project on Kickstarter and expected to sell it mostly to vinyl collectors, space nerds and audiophiles — but they underestimated the appeal. "The internet was just on fire, talking about this thing," Daly says. They blew past their initial funding goal in two days, eventually raising more than $1.3 million dollars, making it the most successful musical Kickstarter campaign ever. Among the initial 11,000 contributors were family members of NASA's original Voyager mission team. Last week, Ferris got his box set in the mail. He says that his friend, the late Carl Sagan, would be delighted by what they made. "I think this record exceeds Carl's — not only his expectations, but probably his highest hopes for a release of the Voyager record," Ferris says. "I'm glad these folks were finally able to make it happen." Pescovitz says he's just glad to have returned the Golden Record to the world that created it. At a moment of political division and media oversaturation, Pescovitz and Daly say they hope that their Golden Record can offer a chance for people to slow down for a moment; to gather around the turntable and bask in the crackly sounds of what Sagan called the "pale blue dot" that we call home. "As much as it was a gift from humanity to the cosmos, it was really a gift to humanity as well," Pescovitz says. "It's a reminder of what we can accomplish when we're at our best."